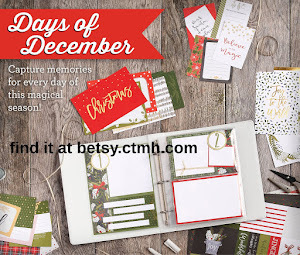 Just in time to satisfy your crafting desires, Christmas Card & Tag Organizers are here! Everything you need is included! 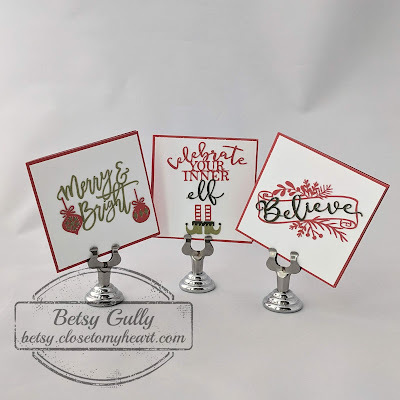 All the cutting, scoring and stamping has been done for you. 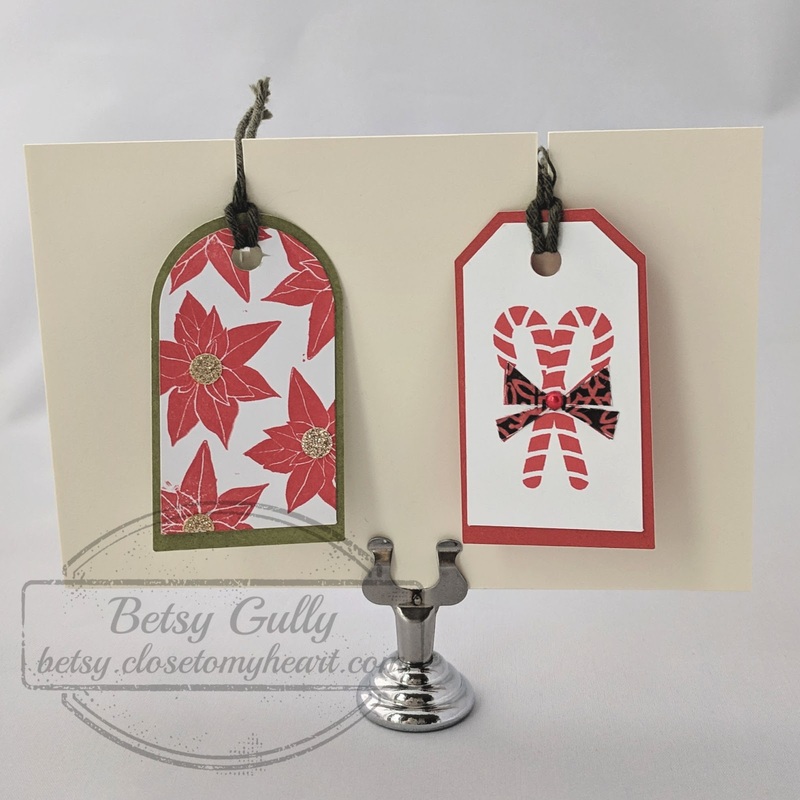 Just grab your adhesive and follow the instructions to create this fun set of cards & tags with it's own box to keep everything organized. 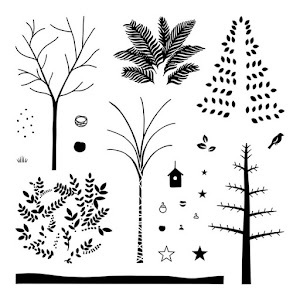 Along with the emailed instructions you will receive a cutting guide for your own use should you desire to make more. 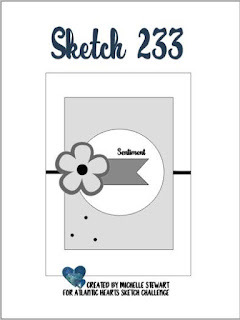 Your cards, tags, stamps, notes & a pen all in one place! 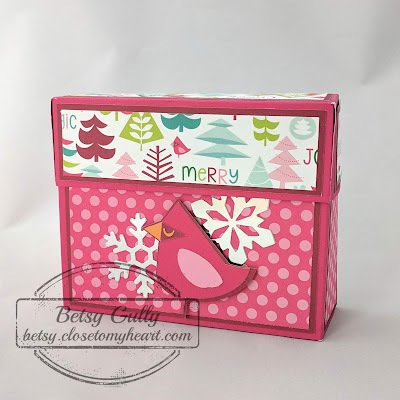 Your cards and gift tags in one convenient place! 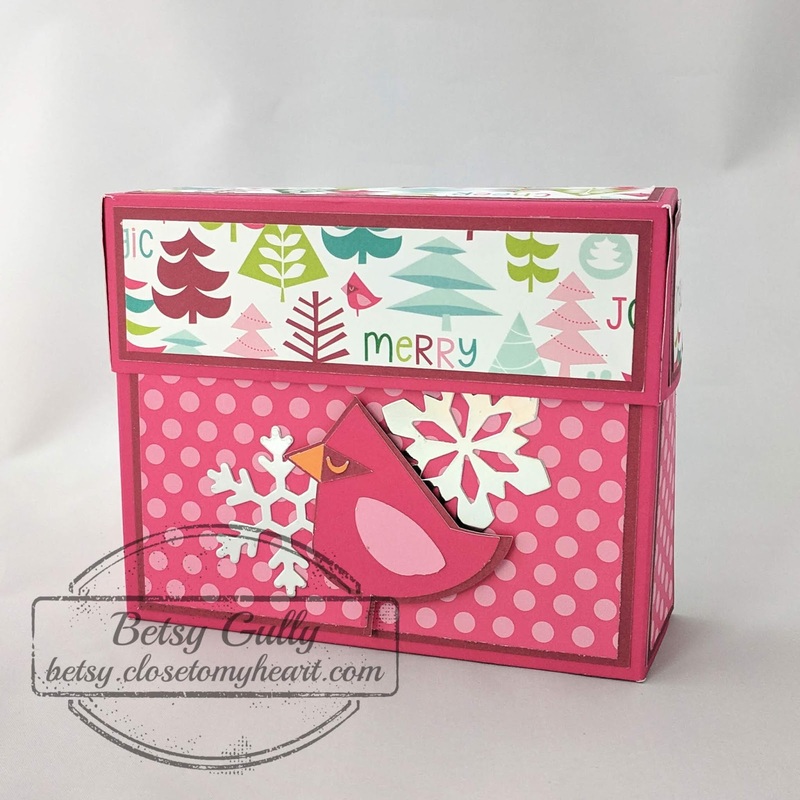 A Naughty or Nice note pad, a pocket for stamps and a matching pen. 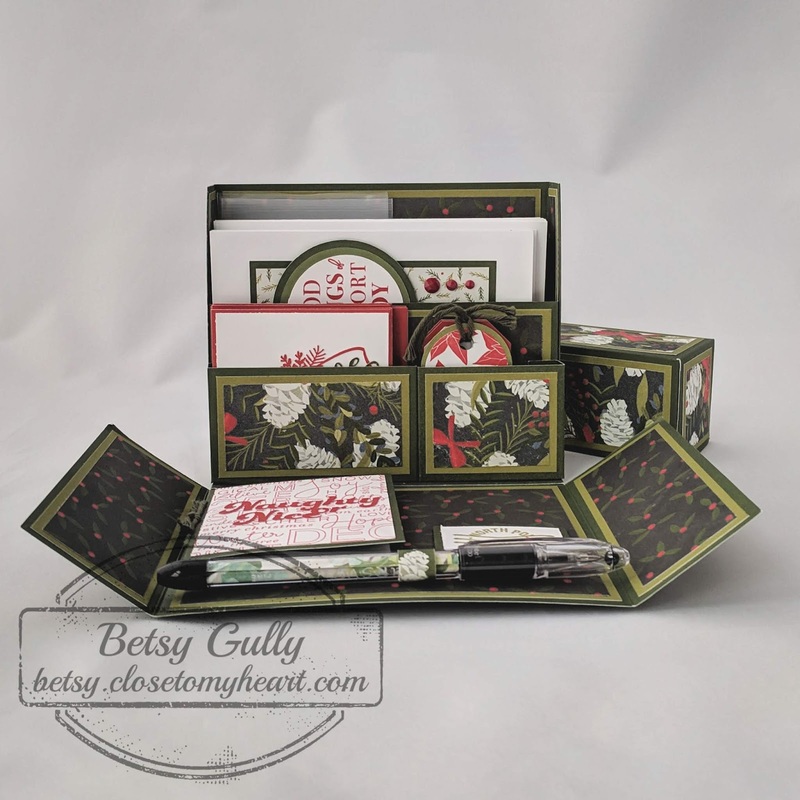 Each kit, completely cut, scored, stamped & prepped for you including all embellishments, die cuts, Cricut cuts and a pen is just $25.00 plus shipping. I'm shipping to US addresses only. Kits will be mailed within 48 hours of purchase. Don't wait to buy! The number of kits I have is limited. It's never too early for Holiday Crafts, after all, we need a head start, right? I had a lot of fun designing these lanterns. They look so elegant on my mantel. Yes, I'll take them back down until after Thanksgiving, but I had to show you! 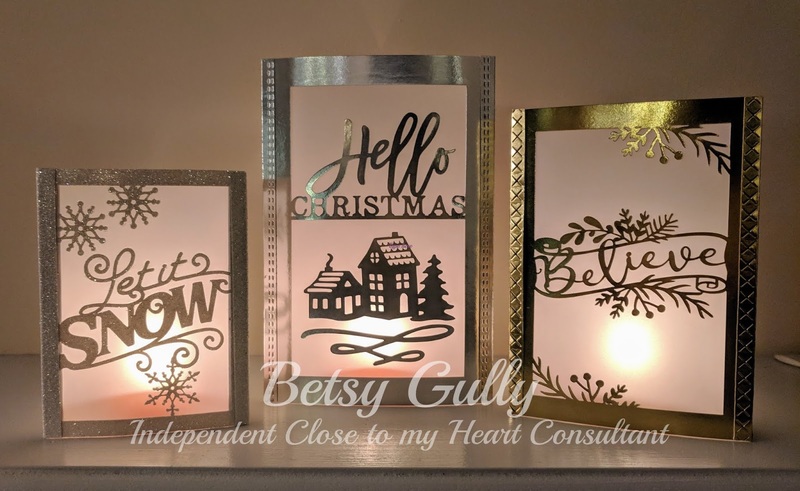 I'm offering my cutting file and instructions for these three lanterns to you, either for yourself or to use for a class. You will receive my Design Space file and my written instructions for assembly. 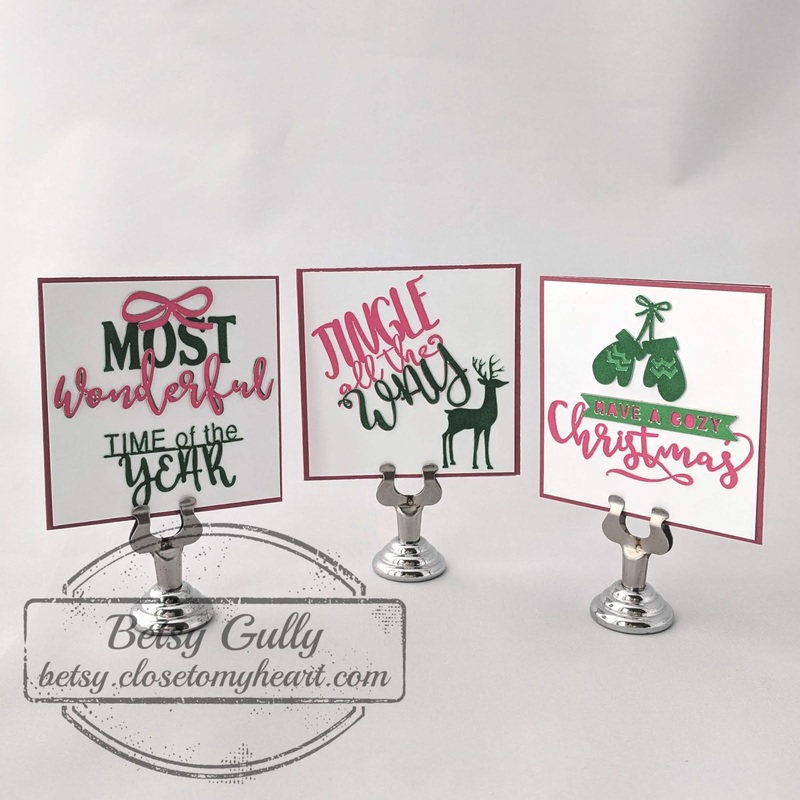 You must have the "Season of Joy" digital Cricut collection by Close to my Heart to use the Design Space file. 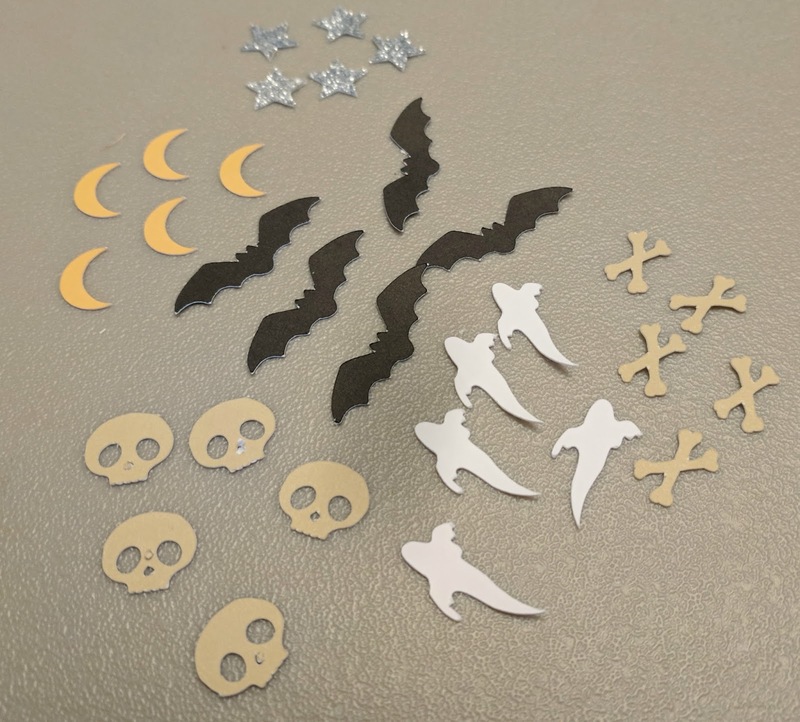 You may not have all the supplies* on hand so this is the perfect way to get your supplies and the workshop as a bonus! When you place that order, email me at betsygully@gmail.com and request the workshop instructions. This step is very important! 2. For CTMH consultants, only. 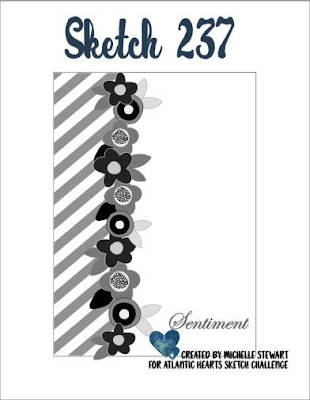 My workshop instructions are available for just $10. Use this button to pay/order your workshop. Well it's summertime and I haven't blogged for a while. 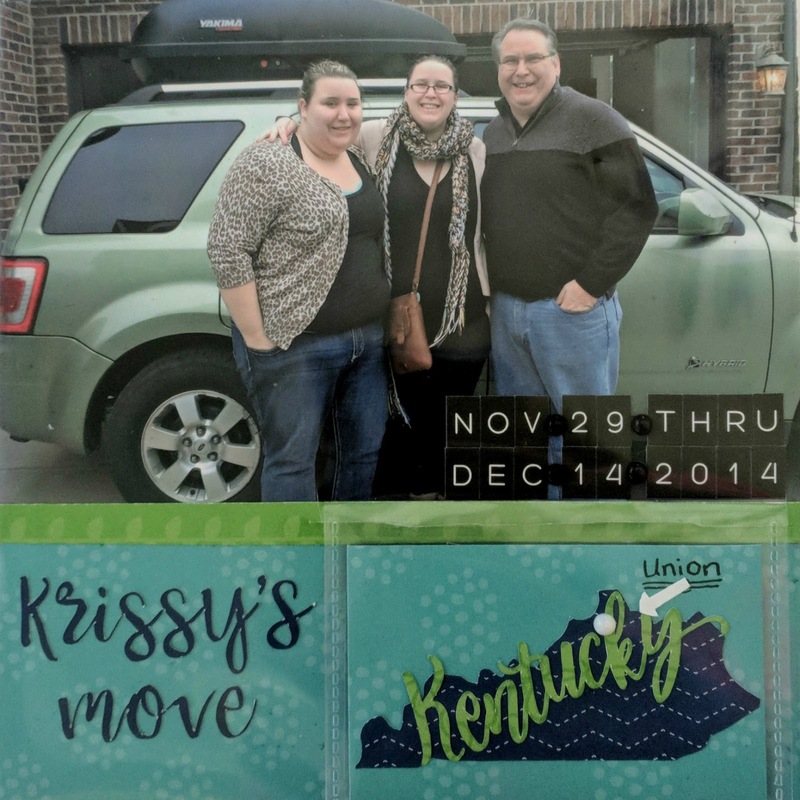 But being summer it also means that I've attended another Close To My Heart convention and I'm full of news about the upcoming catalog & great new ideas! But I can't tell you. Because the catalog doesn't go live until September 1, 2018. 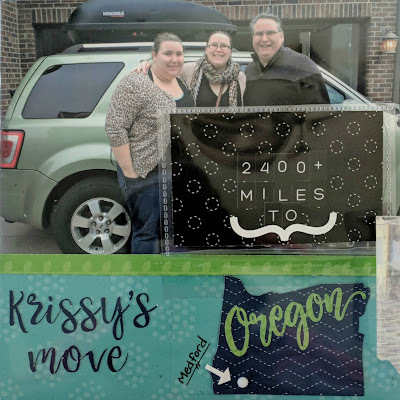 If that seems like a long way off, I agree, but that time will fly by -trust me! In the mean time I'm going to show you a little peek of a project we made at convention. This is a brand new product that teams up Close To My Heart with Stacy Julian! 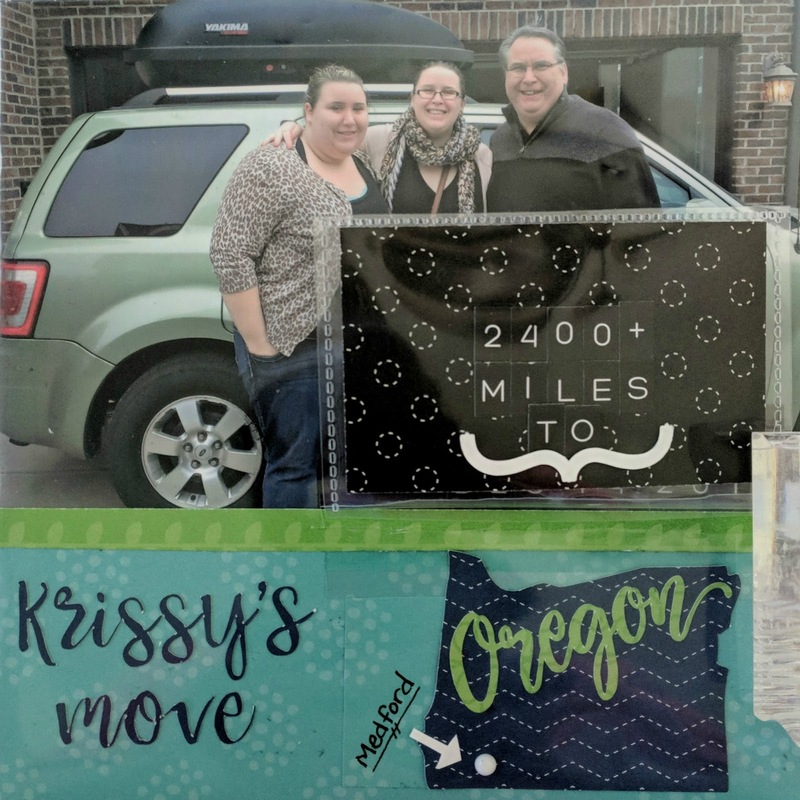 I was so lucky to be asked to help with her presentation at convention so was able, with a handful of other consultants, to be coached by her in a Facebook Live session. How do I express how exciting that was? 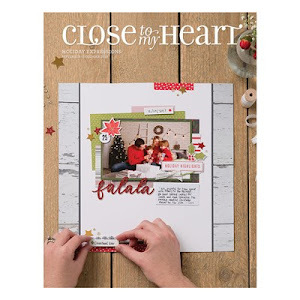 What do you think the amazing team of Close To My Heart and Stacy Julian has brought us now? Stay tuned because I will tease show you more in the "between" time. In the meantime, my website is still open for business and we have some awesome specials! 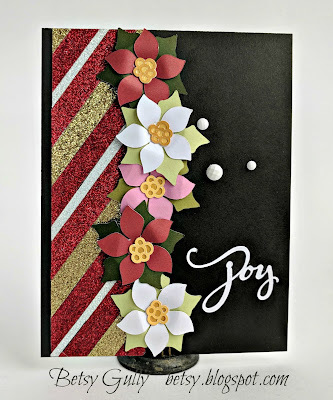 This month is Stampaganza! Buy two stamp sets at the retail value and get a third set of equal or lesser value for free ...and we brought back our fun "solos" stamp sets just for this event! Check it all out on my web site. Happy New Year and welcome to 2018. Did 2017 just fly by or what? Here in Kentucky the mercury dropped to -3 degrees last night. That's Fahrenheit! Brrrr!! 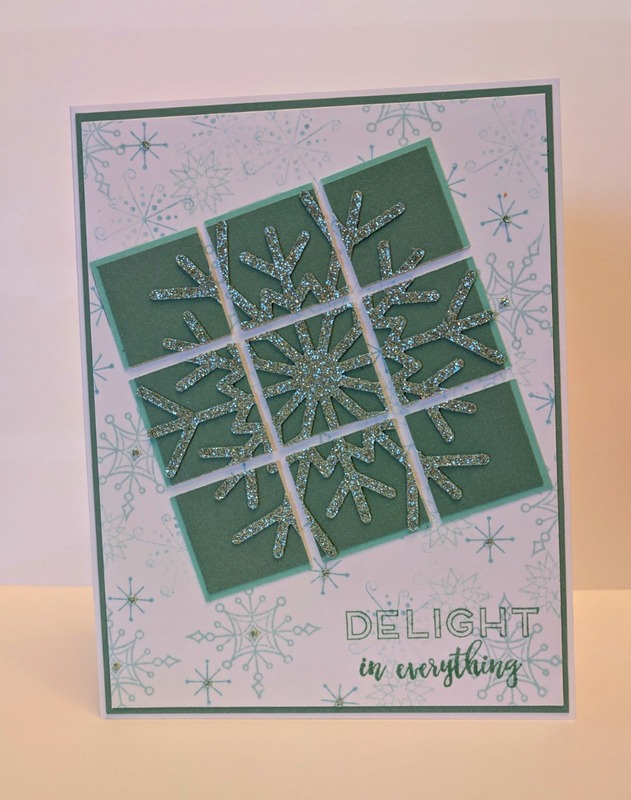 I haven't dared venture outside but the temp and the little bits of snow we have left have inspired my contribution for the Design Team in this week's sketch challenge. I had a lot of fun with this card. I went back to the old days of random stamping for the background. Sometimes I forget how much fun those "old" techniques are! 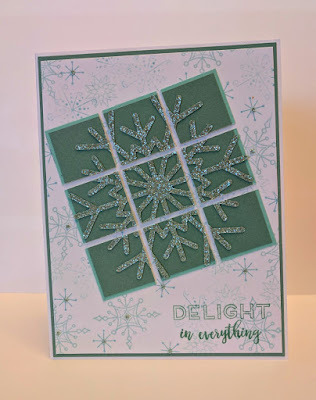 I tilted the grid that is the focal point because - well, snowflake! 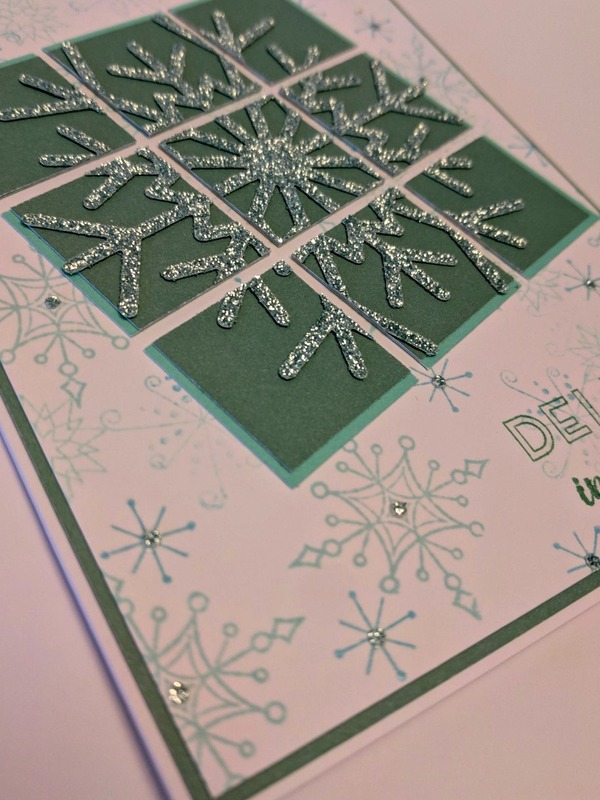 I love my thin cuts and particularly this snowflake done with glitter paper. You may remember it from my last post. I also used my tiny 1/16th inch hole punch and made use of my glitter paper scraps. 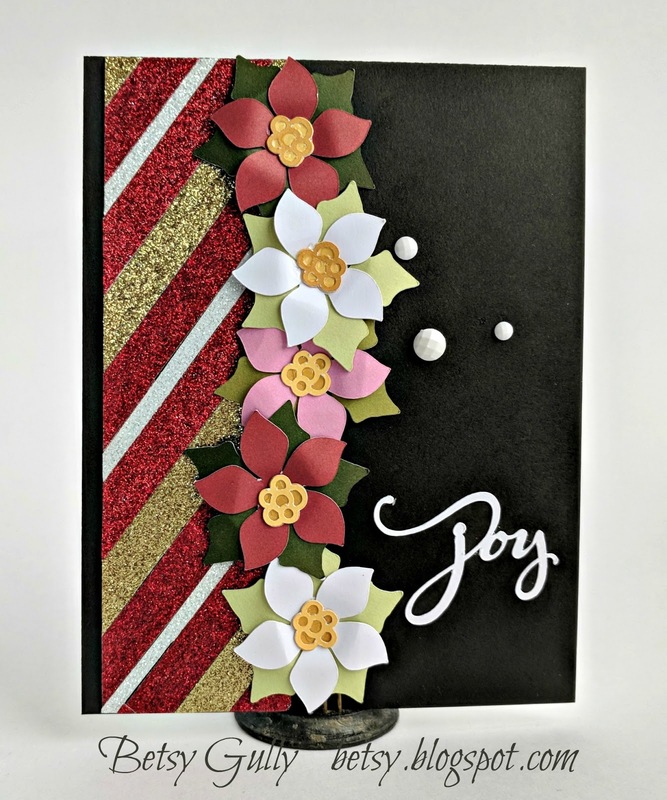 I just hate not using every bit of my glitter paper! You can see I scattered them around on the stamped snowflakes to add a glint of sparkle to the back ground. 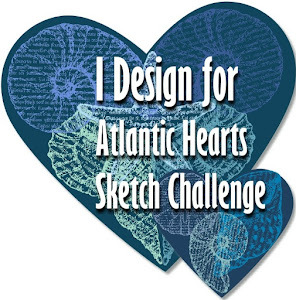 Here is the Atlantic Hearts Sketch for this week. 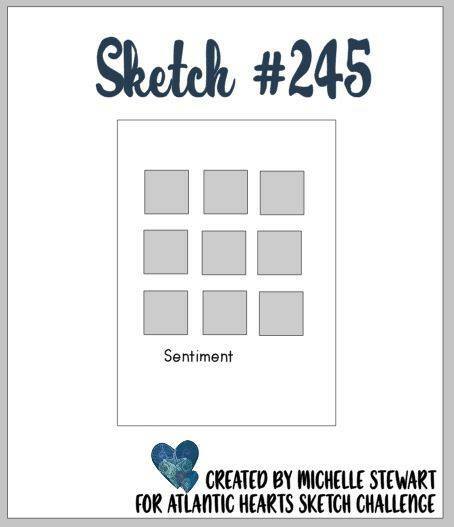 I'd love to see how it inspires you. Go to the AHSC blog for full details. I feel I need to apologize for the quality of my photos. It's much harder to get good lighting in the winter and unfortunately Santa did not bring me the light box I pinned for him to see. I guess I have to work harder at being good! 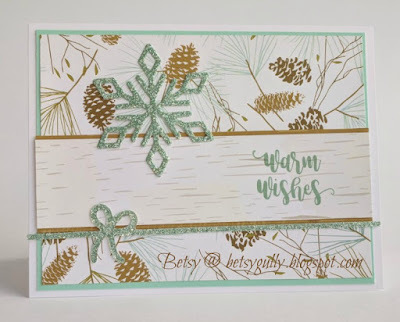 I've been playing around with some of my older Christmas papers and came up with this card for my Sketch Challenge Design. 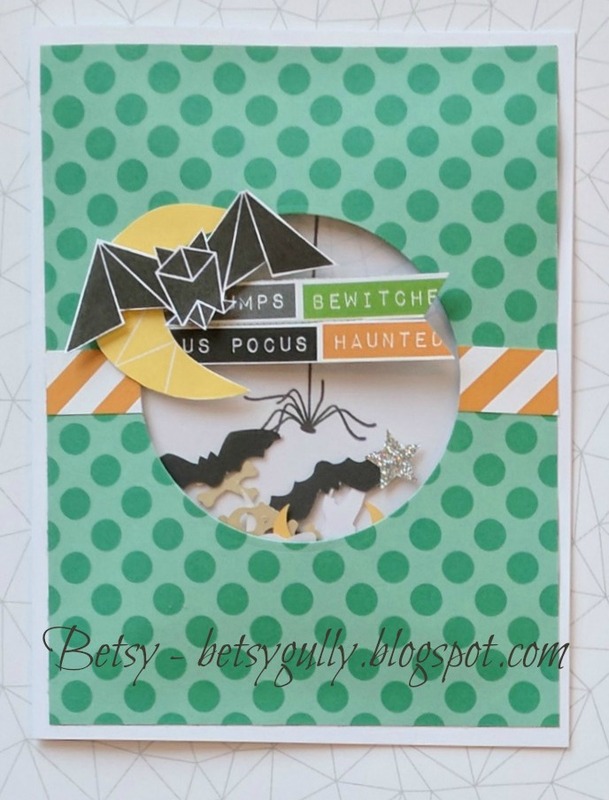 What I love about these older papers is the Sea Glass color in the background paper and the glitter papers. One of my favorite colors. 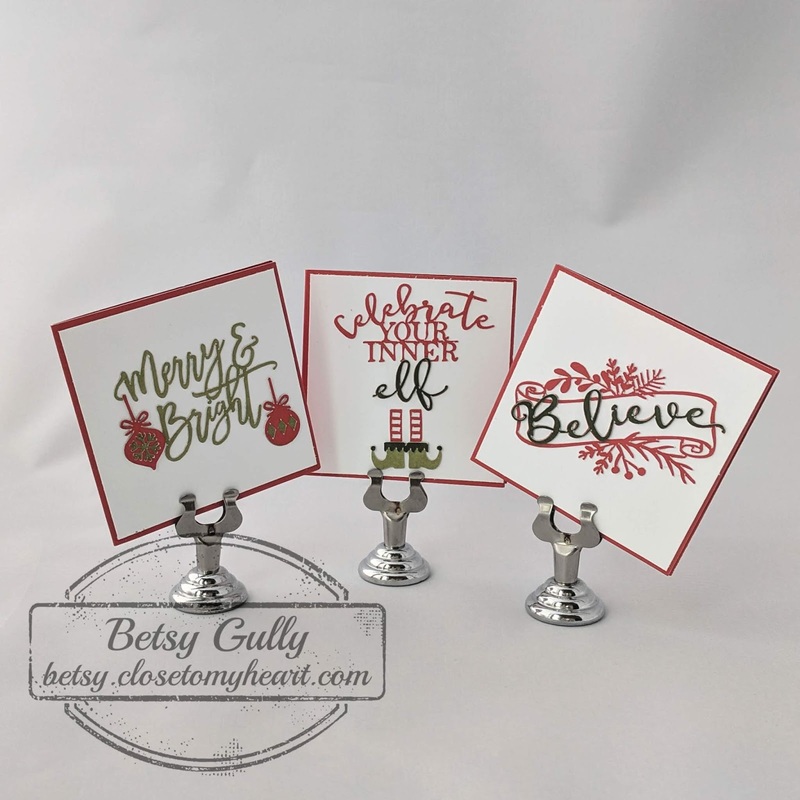 But I couldn't decide which background paper to use, so I did three cards. You tell me which one is your favorite? Are you participating in this weeks challenge? 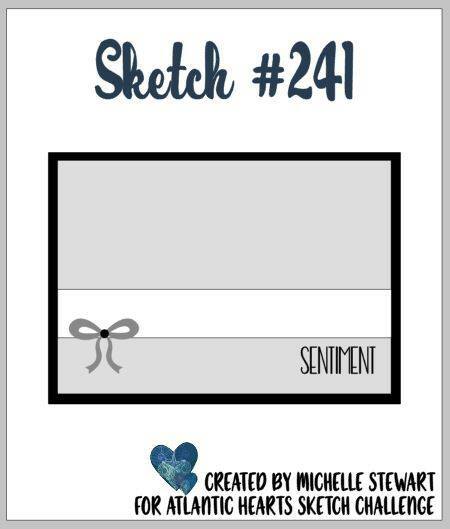 Check it out here and please add your artwork to the pot! I won't lie and tell you that Poinsettias are my favorite flowers. They are not. Yet I do love my Poinsettias at Christmas time! 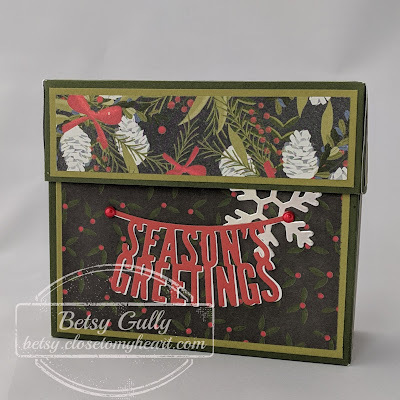 This little card is made with Poinsettias from the Close to my Heart Flower Market Cricut Cartridge. This is my offering for this week's Atlantic Hearts Sketch Challenge. I hope you'll play along with us and share the art this sketch has inspired in you. 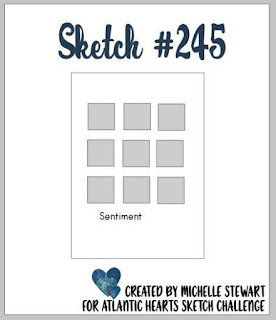 Find the directions the Atlantic Hearts Sketch Challenge blog. Thanks for stopping by today. I hope to see your art soon!